Its been one helluva week. As usual workload is getting absolutely crazy. Handling much more than one can handle and then when one thinks, phew, that is done, you get twice as much work. Managing that on a day to day basis, keeping things online(which is meeting deadlines in a layman's term) is proving to be extremely cumbersome. Its been so much that i dont even realise whether i have a life out of office premises. Whenever i am home, i am watching tv and just dozing off to sleep. On Monday, i had to wake early as had to give the Skoda for annual servicing so that took almost half my day. Then when i came home, i had to rush lunch and then back to office. On tuesday morning, had to again wake early and spend almost half a day getting the serviced car back and then back to routine. It was dussehra on Monday and to continue with our family tradition, i woke early, got some flower garlands for the house and the cars(and that is a general trend throughout the country). Many people garland their machines, cops garland their weapons, train drivers garland their engines and so on and so forth. I went to the temple to seek blessings. Then it was back to office. Of course since it was a festive mood, no one was in the mood to work, specially considering that more than half the city was deserted because of a public holiday, except poor souls like us who have to work for a European/American Client. But i decided that there must be a small celebration and so i decided, to get a cake for the team. And since it was also a colleague's birthday, there were ice creams that he treated us to. So in a small but a nice way, we enjoyed dusshera. Thursday was back to the grind. Had to wake up early as a friend who is flying to New Zealand for further studies wanted some advice on flight bookings and which is the best flight to catch etc. And since this is his first trip abroad, he wasn't very sure on how to go about things. I helped him in the night as well. Friday, i had an early morning shift as i had a very important task in the afternoon. I had to travel to Mira Road for some work and it was one hell of a tiring day. I went to work at 7 AM, left by 3:30PM, went to Mira Road. Picked up some important documents and then came home. Freshened up. Left to meet a friend at a book store for some personal work. And then finally i am home. This week, i have barely got an average 5 hours of sleep in the night. And today, i am planning to sleep for atleast 12 hours. With no one in the house, its gonna be a very very very peaceful sleep. Fortunately i have got this weekend off. So the plan of action, is to take full rest, maybe watch a couple of movies, maybe catch up with friends for dinner but mainly just give this body a much needed rest. I am so sure that the next 4 weeks are going to be extremely busy with work, festivities and hopefully some new things to come in this New Year. This week was also a very sad one. For the last few days, i was getting a feeling of being low. Now normally this feeling happens more on mondays because of the monday morning blues. But this time it lasted for 2-3 days. And i had a very uneasy feeling that i am going to hear news of someone dying. 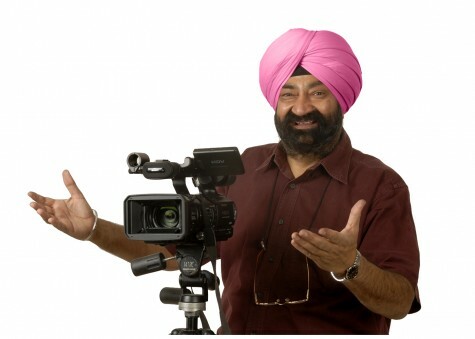 And this is what happened, famous comedian and a wonderful human being, Jaspal Bhatti, passed away. He died in a car accident. I am not a huge fan of Indian Television. But the doordarshan of the 80s and early 90s had some very good serial. The ones which i liked the most were the comedies. And the best ones were Yeh Jo hai Zindagi, Shriman Shrimati , Ulta Pulta and Flop Show. The last 2 being laugh riot sattires on many issues that we are still facing in India today. And no one could present them better than Jaspal Bhatti. My family(specially mum) has been a huge fan of Mr Bhatti. The big tragedy was that Mr Bhatti died just 1 day before the release of his Punjabi Film, power cut. Which is a tongue-in-cheek movie about the still prevalent power cuts in the country. It was one of my, now never to be fulfilled, dreams to meet Jaspal Bhatti in person. I had just mentioned it in my previous blog about famous people dying and looks like i spoke too soon. The person who, ideally, should have been the Prime Minister of India intead of Dr Manmohan Singh.